One of the best things about being little, was building forts and dens. Changing something ordinary into something special and secret was the perfect antidote to a rainy afternoon. 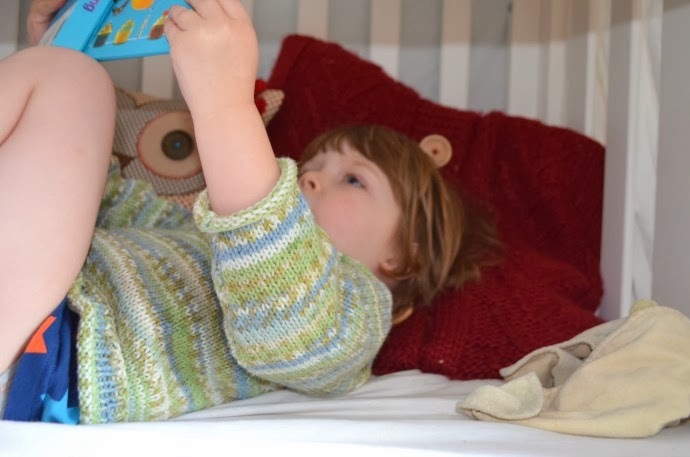 Dylan is no different, and we have spent many a day cuddled under blankets, sheets and clothes airers, reading books, playing with torches and having secret tea parties. 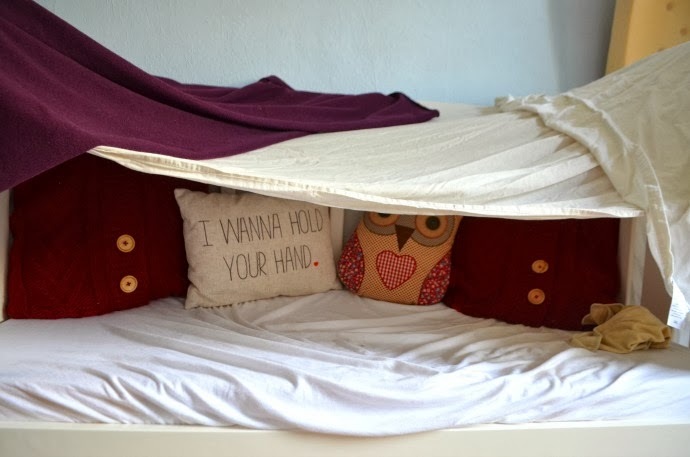 This weekend I transformed his bed into a mini fort instead. 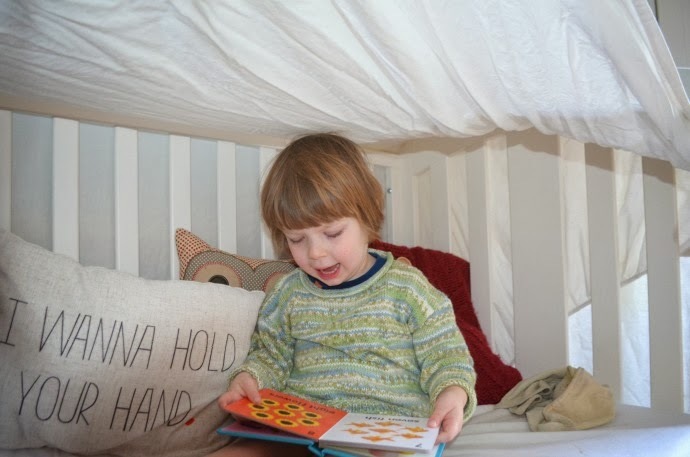 Archie was in a particularly energetic mood, and Dylan was craving some quiet time, so with the help of some bed sheets, blankets and some cushions from the sofa, he had his own little space, and we sat together, reading books and telling stories. Dylan narrated me a whole story just from looking at a counting book, the new environment clearly aiding his imagination and we did plenty of counting and sounding out letters. We forgot about the rest of the world, and it was just the two of us. This certainly won't be the last of our forts as the cold weather is lingering, and we are off to buy glow sticks tomorrow ready for a dark den disco next week! You can't beat a great den!! Looks fab. I am also loving your owl pillow in the background. I am obsessed with owls. 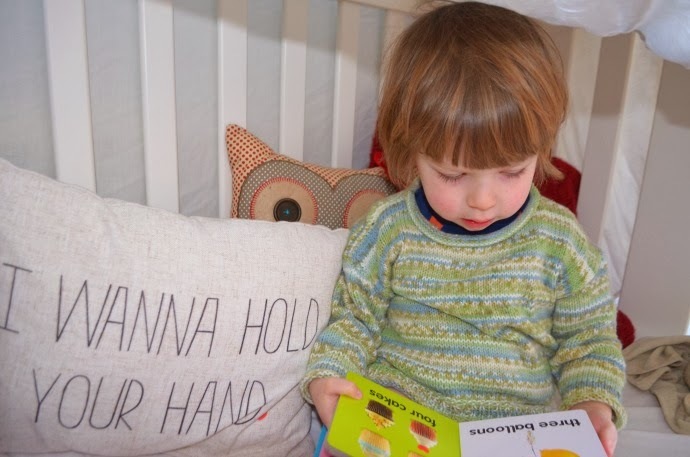 What a great memory of story time with your little one!!! So cute. Great pics.